General Motors has stopped accepting new orders for the 2014 Chevrolet Camaro in 1LE and ZL1 trim because the Goodyear high performance tires aren’t safe in winter conditions – which is probably a bummer for those Camaro buyers who live somewhere that doesn’t have a real winter. The 2014 Chevrolet Camaro ZL1 and 1LE both come with Goodyear Eagle F1 Supercar tires that offer incredible grip in even the highest performance situations but these tires do not offer good traction in cold weather even on perfectly dry surfaces. These tires are designed to provide nearly unprecedented levels of grip under both hard acceleration and hard cornering in warmer weather but the sticky-soft rubber compound used on the Goodyear Eagle F1 Supercar tires cannot offer reasonable grip in cold weather or on very cold road surfaces. With the Camaro 1LE offering 426 horsepower and the Camaro ZL1 offering 580 horsepower, questionable footing can create a dangerous situation as it becomes much easier to overpower the massive rear skins. Because General Motors is concerned about the owners of the 2014 Chevrolet Camaro 1LE and ZL1 losing control of their muscle cars on cold roads, the automaker will suspend the ordering process for these two premium performance packages from November 21st through February 11th and production of those two models will likely be suspended for January, February and March 2014. This is bad news for those folks who were planning to buy a new Camaro 1LE or ZL1 before the end of the year but with reports suggesting that production will continue to fulfill those orders already placed – those buyers ready to pull the trigger right now still have time to do so. Also, the ZL1 and 1LE models built between now and the end of 2013 will still be shipped out to dealerships so there is a chance that a prospective buyer could find one waiting for them at their local Chevrolet dealership. In addition, those folks who live somewhere that doesn’t have a true winter like Florida or Southern California will likely be able to have their local dealership hunt down a 2014 Camaro ZL1 or 1LE sitting somewhere on a dealership lot but if those buyers wait until December, they will not be able to order one of those models to their exact specifications. 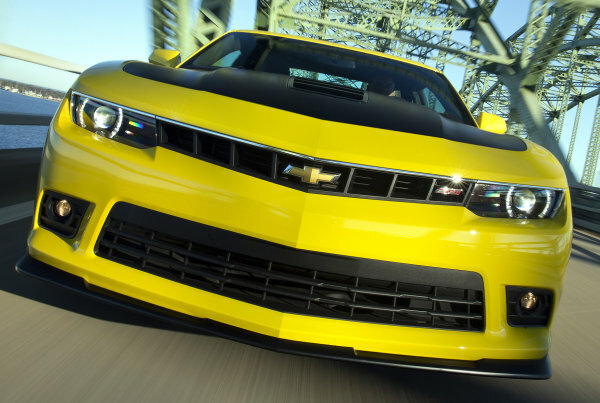 At the same time, there is a good chance that GM planned ahead well enough to make sure that there are enough 2014 ZL1 and 1LE models already built so that those folks in warmer climates are able to buy their ideal Camaro between now and March 2014. Hopeful 2014 Chevrolet Camaro buyers who are interested in the V6 or SS (non-1LE) models will be able to continue placing orders as normal since those models come with tires that are better suited for winter driving and with ZL1 and 1LE orders accounting for just a small piece of the Camaro sales pie, this decision to suspend the ordering process for the best performing 2014 Camaro coupes shouldn’t have much impact on the overall sales figures for the end of 2013 or the beginning of 2014. This is kind of an odd decision considering that most of the people who would want to buy a 2014 Camaro ZL1 or 1LE during the winter are located in regions where the temperatures never get cold enough to make a real difference…especially considering all of the high tech gadgetry in the new Camaro that helps optimize traction in all sorts of conditions. However, GM also doesn’t need to be building super-Camaros at a time when the demand is at its lowest and when conditions are at their worst for many prospective buyers. From what I can gather Terry as long as I don't move my 2014 ZL1 until it warms up I should be fine. I don't even sit in it. I too have mine in a non heated garage where the door is opened constantly. We get down to about -35 F. I've heard some people have driven theirs when it was 32 F. I think I'll wait until it's 68 F. I live in Alberta Canada but I put temps in F. Hope this helps.